In the summer of his rookie season of 2013, Tony Cingrani Ã¢â‚¬â€œ who was then being used as a starter Ã¢â‚¬â€œ threw the best-pitched game I’ve ever seen in person. At the time, the Dodgers were in the midst of an historic 46-10 hot streak, but Cingrani managed to keep their bats in check over seven shutout innings, during which he struck out 11 while yielding one hit and one walk. Unfortunately, the Reds’ bats were stymied that day as well, and the game was locked in a scoreless tie as it went to extra innings. Dodgers closer Kenley Jansen mowed down the Reds in the 9th, but with the game on the line, Reds manager Dusty Baker stuck with Sam LeCure, who entered the game in the bottom of the 8th. Despite giving up two hits over 1 1/3 innings, though, LeCure did not give up a run. In the 10th, despite having the lethal Aroldis Chapman (who had pitched just one inning over the previous seven days) at his disposal, Baker instead called upon Curtis Partch. Miraculously, Partch dodged a bullet in the 10th after giving up a leadoff single to Hanley Ramirez, who promptly advanced to second on a gritty bunt by Skip Schumaker. Following an intentional walk to Andre Ethier, Partch struck out the next two Dodgers on six pitches. The clock struck midnight in the 11th, though. After retiring the first two batters while Chapman continued to collect dust in the Reds bullpen, Partch threw his 28th pitch, a meatball to Dodgers rookie phenom Yasiel Puig. Chris Heisey barely moved as it sailed over his head and into the left field bleachers. 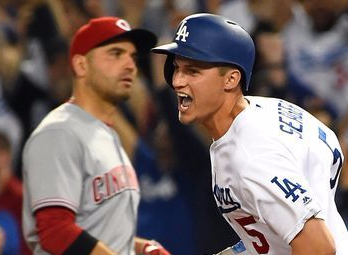 Dodgers 1, Reds 0. Four years later, Baker might be gone, but his ghost clearly lives on. With the Reds and Dodgers tied at 4 heading to the bottom of the 9th, I fully expected to see Raisel Iglesias summoned and asked to send the game into extras. When Drew Storen exited the bullpen door instead, I was shocked. After all the early-season hype of the Reds’ unconventional bullpen usage, had Bryan Price suddenly embraced The Book? I watched incredulously as Storen gave up singles to Puig and Justin Turner before Price mercifully waved the white flag. When Cingrani Ã¢â‚¬â€œ who, like Storen, had pitched the previous night Ã¢â‚¬â€œ subsequently came out of the bullpen, I assumed Iglesias must have had the Adam Duvall flu. In a high-leverage situation with the game on the line, there was no other logical reason to pass over Iglesias in favor of a pitcher who was fresh from the DL and who yielded a home run to the first batter he faced the night before… right? To the surprise of absolutely no one, Cingrani gave up a hit, and the Dodgers were walkoff winners. Ironically, the winning run was scored by Puig, who nullified Cingrani’s excellent start four years prior. Of note, the Dodgers used closer Kenley Jansen to mow down the Reds in the 9th innings of both games. It’s unfortunate that the Reds’ closers didn’t have the same opportunity. I was also reminded of the Einstein quote in which he defined insanity as doing the same thing over and over, yet expecting different results. If Baker and Price are insane, though, they’re not alone: If you’ll excuse me, I’m off to Dodger Stadium. This is another second guess cheap shot. Storen has been very effective this year. Having him beginthe 9th inning in a tie game on the road made good sense. Cingrani came in to face lefty hitters. Seager, who is a left hand hitter blooped down the left field line to win it. Saving Iglesias to save an extra inning game on the road made sense. Iglesias hadn’t pitched since early afternoon Thursday, and that was just one inning. The thinking of using him only in save situations reflects the mindset of most current managers regarding their “closers.” We had been collectively led to believe that the approach would be different this year for the Reds, using their top relievers in high-leverage situations, which could be in any particular inning. Price did this early on in the season, but he has backed away from that in recent weeks. As others in other threads have said, there is no more high-leverage situation than a tie game in the bottom of the ninth. Sending your fourth and fifth best relievers out in that situation hoping you’ll have a chance to use your best (and rested) reliever later is a very programmatic, “by the book” approach that was supposed to change this year. Had Iglesias pitched two or more innings the day before, or had he pitched several straight days, those may have been reasonable justifications for not using him. I’m disappointed in how Price has stuck “by the book”, especially lately with his closer. That said, I’m not surprised. Anytime you try to change how something is done in baseball you get push-back from players, coaches, other team personnel, the media, and often the general fan. It’s possible that Iglesias himself has expressed serious reservations about how he was being used before and his opinion does carry weight. An argument could be made that it shouldn’t but it probably does. Not a cheap shot at all. Article makes perfect sense. It’s simply logic. Is it more important to hold your best arm back for a save situation that may not come about because he was rotting on the bench while you were using your lesser resources hoping they could hold the fort, or is it better to NOT LOSE THE GAME while using your best arm? Isn’t it better to have your fourth best option trying to save a potential future lead than to have your fourth best option try to maintain a tie ball game when your best arm is available to do that? That’s why you use your best arms as starters if they can hold up to the workload – right from the get go the score is TIED and you want to prevent the other team from getting ahead. It’s a ball that Scooter probably should have gotten to at that. I didn’t see any Price quotes on why he used Storen, but there is another possibility behind his thinking. If he used Iglesias last night for more than one inning, or if Iglesias pitched one inning with a high pitch count, then neither Lorenzen nor Iglesias would have been available at all on Sunday. Sunday’s game counts in the standings, too, I think. They hit two grounders through the infield, and hit off Cingrani was no bullet. It’s exhausting trying to keep up with all the ways people come up with to criticize Price. I’m sure if he had used Iglesias and Storen had blown the save 2 innings later, someone would be jumping down his throat for that. I miss the days when I was a kid and all that mattered to me was whether the players performed or not. Would not have had any issue had that transpired. It’s not the actual results that matter – as a manager, use your resources as wisely as possible. If it doesn’t work out so be it. Use your resources wisely. Saturday bullpen usage did not reflect that. Today was better. Iglesias had a bad game; it happens. It isn’t the actual results that matter? You mean that I’ve been deluding myself all of these years? I took the comment to mean that a manager should try to maximize his players’ chances of success. Yes, what happens from the time a player enters a game is up to the player, but it’s about using the right tool for the right job, the best ammunition at your disposal, insert your preferred metaphor here, etc. Sunday’s game was a case of “poop happens.” The actual result was the same as Saturday’s, but Sunday was more about chance, lady luck and the world’s most persistent foul ball hitter than Saturday’s strategic misfire. hmmmm…two ground ball singles and bloop single sound likes poop happens. Clay – exactly. Love your blogging. 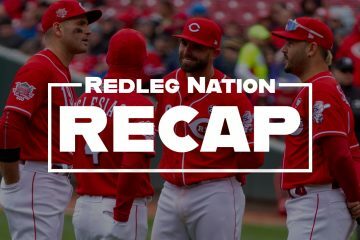 Still a Red – while yes, poop happened resulting in the Saturday loss, it is still about having a manager who maximizes the team’s chances of winning. Run the same scenario + Price’s decision to use Storen the reds probability curve to win is say 40%; if Price used Iglesias instead, my contention is the probability the Reds win that game going forward is higher. 50 to 60%. Doesn’t guarantee a win, but most definitely enhances your chances of winning the game without adversely affecting future games. That’s all I want out of a field general. Losing stinks and its worse when your best sets and watches from his seat.You play to win the game.We already gave them a game on Friday night and last night we gave them another one. There are 162 games. 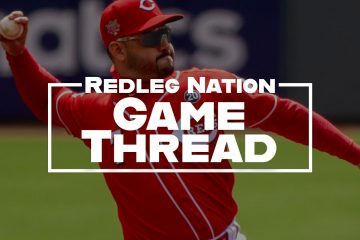 The one thing that can really hurt the Reds is if their relievers get worn down due to over use because the starters don’t go long into games. Storen, Peralta, Lorenzen, Iglesias have been very good. Wood has had some good moments. This is the strength of the pitching staff. Price has done a masterful job of winning with no starters. There is not a person alive who thought the Reds would be a game behind the Cubs after 60 games. Finding fault with a Price over last nights game is not fair. Hi Clay, you were at the Cingrani game from years ago as well? I mentioned on the recap thread from Sunday’s game that I had seen a few bad beats in my time, and that Cingrani game was one of them. … And of course, I was there Sunday for the Raisel meltdown. Just awful. Yeah, it’s one game out of 162, but dang, that one hurt. I was going to mention one more from the vault as well. In 2013, Dusty and the Reds were in Chicago for a game that went deep into extra innings. Dusty emptied his bullpen, ultimately using Jonathan Broxton, who was hurting and the team was trying to avoid using him. But of course Dusty did use Broxton while saving Chapman for that save opportunity that never came. Reds lost in the 14th inning. And Broxton went on the DL a few days later. It’s predictable that, at some point during a Reds’ losing streak, people will find a way to blame Dusty. We don’t know what would have happened on Saturday if Price had brought in Iglesias — maybe a preview of the horror show that happened Sunday, the game that left an indelible imprint on my brain! But you don’t see a problem with using an injured pitcher while your only healthy remaining pitcher sits idle for 14 innings, as Dusty did? That surely seems cockeyed to me. Was hoping Price wouldn’t be such a slave to the save. Hi, sorry for the late response. I didn’t have much left in the tank after yesterday’s heartbreaker, but hope begins anew today. Yes, I saw the Cingrani start in 2013. That was a more bitter pill to swallow than yesterday’s loss, since the Reds were in contention at the time and the game “mattered.” The Chicago game you mentioned, though, was even worse. Sorry that the good guys didn’t send you home happy, but on the bright side, it was nice to have the lead for a few innings here in L.A. for a change.